Collaborate with teachers, administrators, students, and parents to become the leading force in your school's improvement plan. Here is a must-have tool for every school library media specialist who wants to prove the direct correlation between effective library media programs and student achievement. 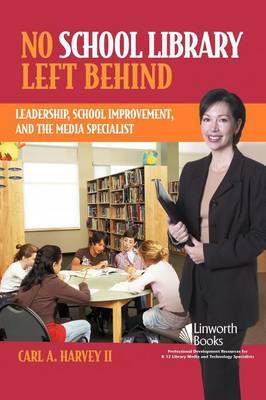 Library media specialists can learn to become leaders in the school by creating dynamic programs that students need, administrator's support, and teachers rely upon. Learn how to align the library media program with the school improvement process so that teachers, parents, and students will fight to maintain the valuable library program and the essential media specialist.